 Seattle Central College's Wood Technology Center prepares students of all ages and backgrounds for rewarding and living-wage careers in architectural millwork, fine furniture making, residential construction, boat building and repair. You will learn specialized skills that are in high demand, and earn a degree that employers value. Why train for a woodworking career at Seattle Central? A state-of-the-art academic and learning center, equipped with the precision and computer-aided tools. Rigorous programs will prepare you to excel in your career. Expert instructors with real-world experience in their fields. Responsible education with an emphasis on community impact and sustainability. Comprehensive training that covers safety, skills, tools and materials.